I guess I could have stopped watching a few movies ago, but it was Furious 7 that really had me thinking that I was done. Not out of disgust, but because 7 had such a satisfying send-off at the end. Really nice way to bookend the series. 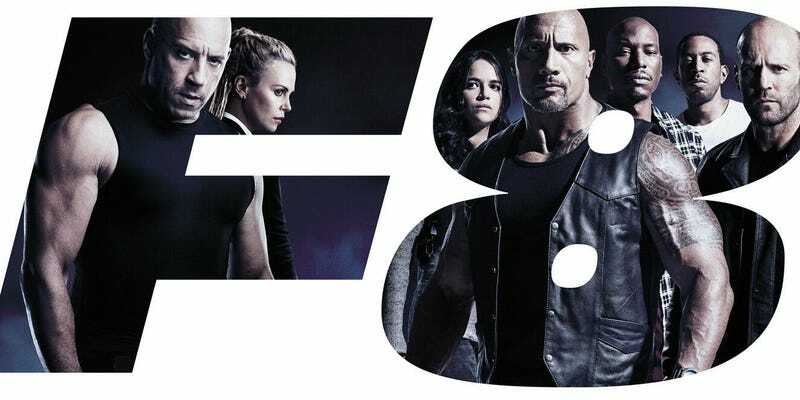 The premiere of F8 came and went. I never bothered to see it in theaters, and was in no rush to see it on home video either. But when I noticed it for under $10 on Cyber Monday, I figured eh, sure and threw it in my cart. It’s been sitting on my shelf for a few weeks now, collecting dust thanks to my lack of motivation to go ahead and pop it in. Well, I’m finally getting around to that tonight. I’m sure it’ll have some cool cars, at least. I’m so glad I didn’t pay full price to see this. I’m thinking that 9 and 10 will have to wait until they reach the $5 bargain bin, or I can watch them for free. Now, I’m not gonna pick apart the story. The series jumped the shark a long time ago, and has been trying to out-do itself ever since. And that’s all I have to say about that. First of all: Loved Cuba. They didn’t spend nearly enough time there. The cars were great, the colors were fantastic, and it was nice to see some brief wrenching, too. What’s going on here? This tab connects a cable to this vacuum hose, so that Dom can (after opening the nitrous valves) remotely “pull the vacuum line and hold on”. But what are those lines connected to? Fuel pressure regular? Boost controller? He calls this trick a “poor man’s turbo” even though the car’s already turbocharged. During the race @0:07:16, there’s a passing *beep beep* sound effect, another “Wilhelm” that I know I’ve heard many times before. Might have to start keeping tracking of that one too, now. Later, Dominic hears Cipher’s engine crank slowly, and suspects a fuel delivery issue. It turns out that he’s actually right about that, and I gotta admit, her pulling the relay is a totally believable way for her to set up this encounter. But what does that have to do with the slow crank problem? About an hour into the movie, Dominic warns Cipher that the GTX’s “misfiring” engine could result in it seizing up altogether. After some tense moments with her trying to see around the raised hood, Dom closes it and holds up a spark plug. Is he just going to leave it out like that? Or did he just happen to have a spare spark plug on hand to replace it with? He chides her for not being prepared for things like this, so I find it highly unlikely that he had extra parts, or the tools to swap them in. Ok, so the car hacking scene was pretty cool (although I’m not convinced that all of those cars had driving controls that were hackable). It started to trigger a bit of uncanny valley, but then again, it probably would in real life, too. Seeing a flock of autonomous cars moving in sync would look surreal, I bet. It is indeed our worst nightmares come to life. It’s hard to say how much of it was supposed to be remote control, pre-programmed maneuvers, or AI. But it was fun to watch. That’s all I got for now. It’s gonna be a while before I feel like watching this movie again.